Designing marketing infographics is a pretty effective way to catch audiences' attention, make contents more understandable and increase traffic. Follow below step-by-step drawing guide and you will find designing marketing infographics is such an easy thing. Step1. 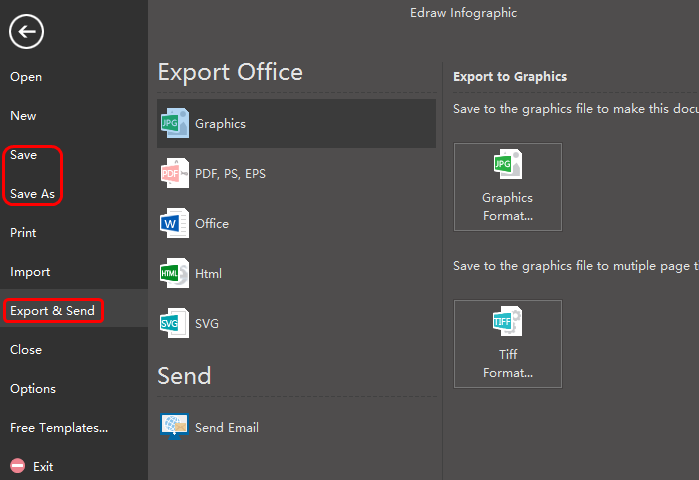 Run Edraw infographic creator, go to File menu, click New>Infographic to open a blank infographics drawing page. Step 2. Drag marketing elements from the left libraries and drop on the drawing page. All the elements are easy to edit, users can just customize them when conditions require, such as chaning the sizes, colors and directions, etc. Step 3. Go to Home page and click Text to add key contents or users can press ctrl+2 directly, then finishing typing by clicking any blank area or clicking Select under Home page. Step 4. 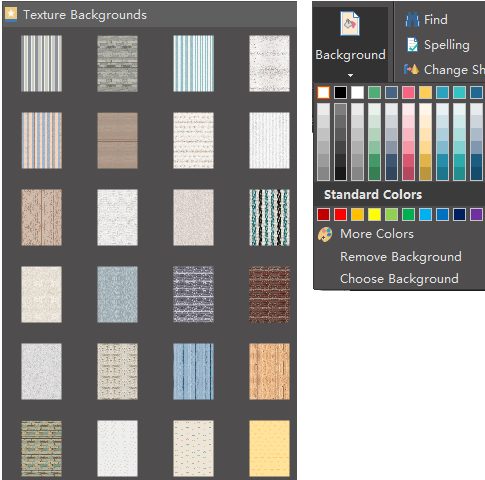 Navigate to left libraries and select a texture background for users who prefer specialty or just click background under Home page to choose a single color background for users who prefer simplicity. Step 5. Click Save on File tab to save the marketing infographic as the default .eddx format; or select Export & Send to export this infographic to common formats which are convenient to share with friends and colleagues, such as Word, Excel, PPT, PNG, Html, Visio, etc. Following are part of handy features which make Edraw one of the greatest infographic software. 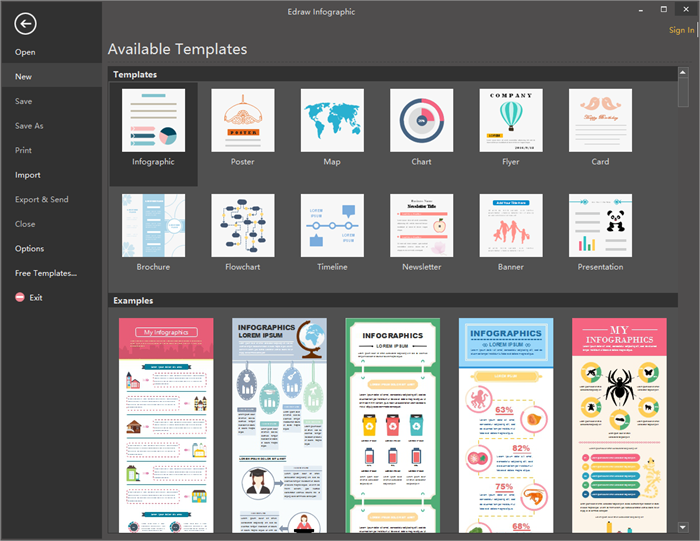 Numerous built-in infographic elements offered for editing and drag-and-drop. Simplify the infographics drawing process by providing a large quantity of marketing templates to start with. Make marketing infographics resourceful and attractive by supporting inserting hyperlinks, notes, attachments and local images. Convenient to share by saving and exporting infographics to common formats. Here provides an examples of marketing infographic created by Edraw for your reference. Just download it if any interest.